Kodak Scanmate i940 document scanner user manual – Kodak Scanmate i940 document scanner is easy of set up portable scanner which delivers desktop class performance. 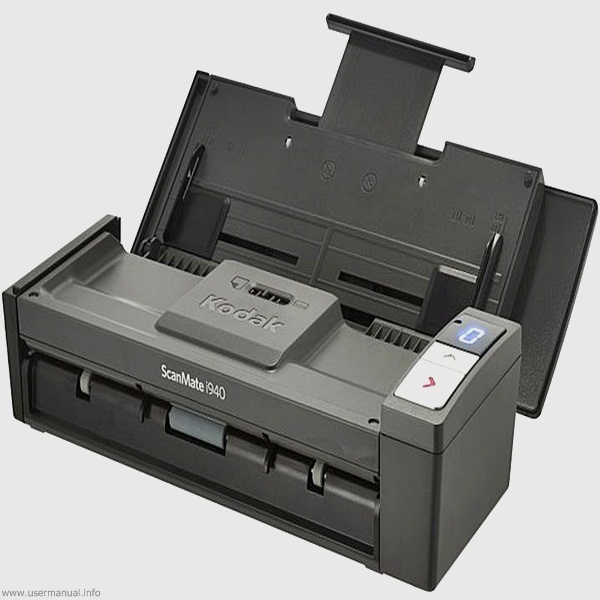 Kodak Scanmate i940 document scanner come with low price for sheet feed desktop scanner. Kodak Scanmate i940 also will lets users bring all the functions anywhere with USB powered capability. Kodak Scanmate i940 document scanner equipped with specifications and key features such as: 289 x 107 x 78 mm (11.4 x 4.2 x 3.1 in) in dimension with 1.3 kg (2.9 lb) in weight, Up to 500 pages per day, 600 dpi optical resolution, USB 2.0, Single and multi-page TIFF, JPEG, RTF, BMP, single and multi-page PDF, searchable PDF and others. maintenance and troubleshooting chapters explanation. On Kodak Scanmate i940 user guide manual tell that Kodak Scanmate i940, USB power cable, USB 2.0 data cable, AC power cable, AC plug adapters and NewSoft Bresto Bizcard are in the box.